Magician GRINO frequently presents its performances in evening dress, but also carries out programs in special costumes, eg. 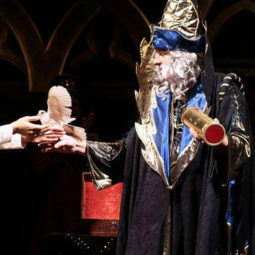 In Gothic costume WIZARD MERLIN, or in another period costume (30s, etc.). The costume Dracula or Frankenstein GRINO performs tricks that fits eg. For a horror show for the celebration of Halloween. 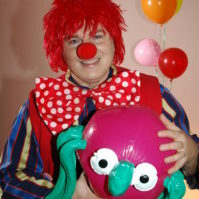 Costume clown show with amusing entwined tricks for children. There are even songs, modeling balloons, competitions,….